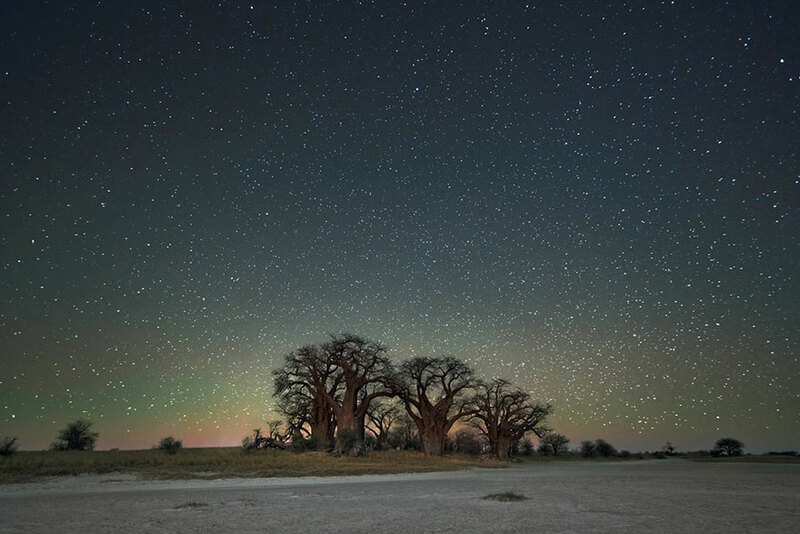 For Beth Moons “Diamond Nights” project, she traveled to Africa and with help of a guide found her new photo subjects. 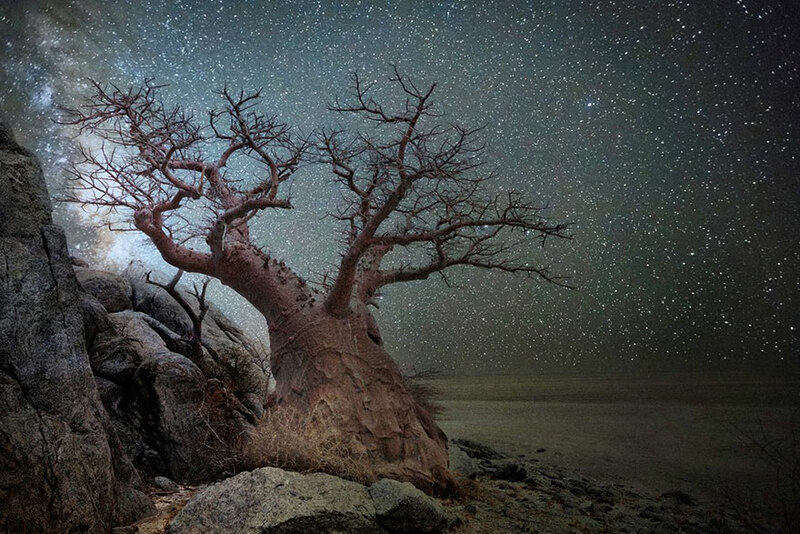 Marking the spots with rocks, she would return to take the pictures night. 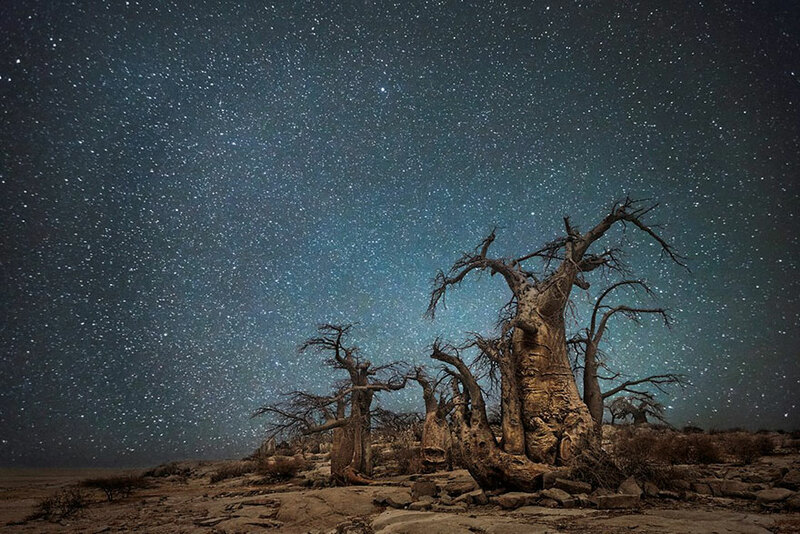 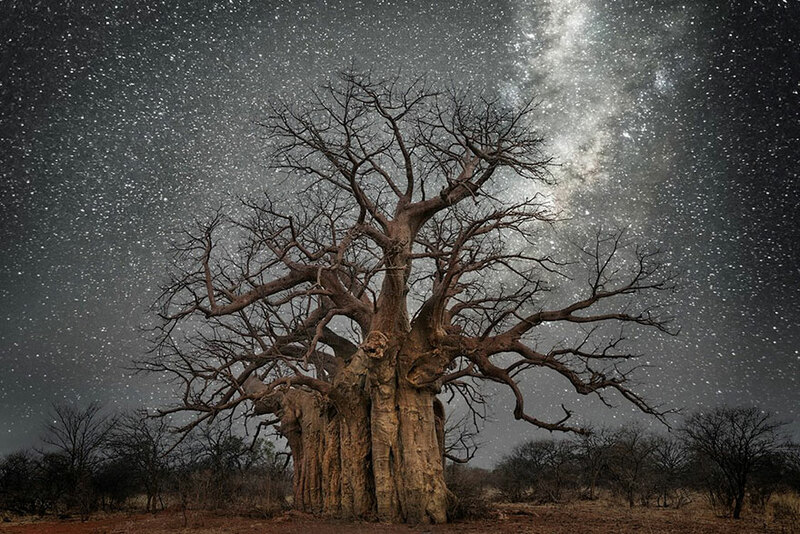 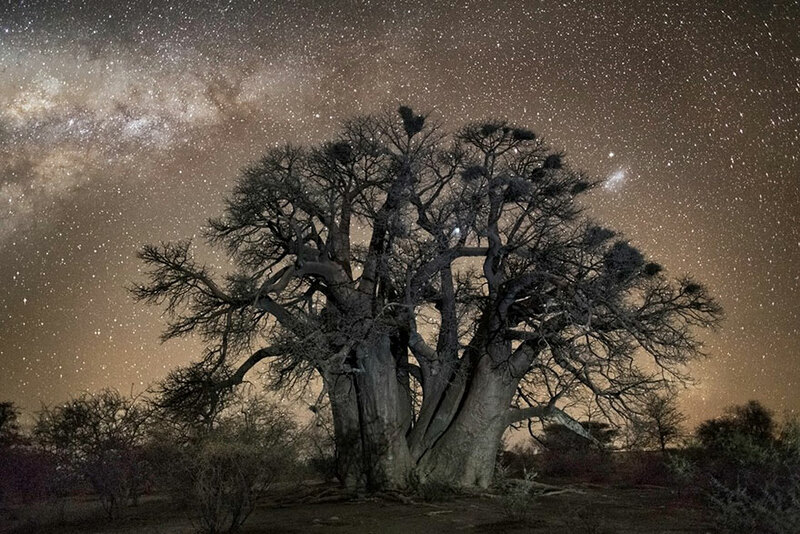 You can imagine that against the starlit sky the ancient trees look like something out of a fairytail. 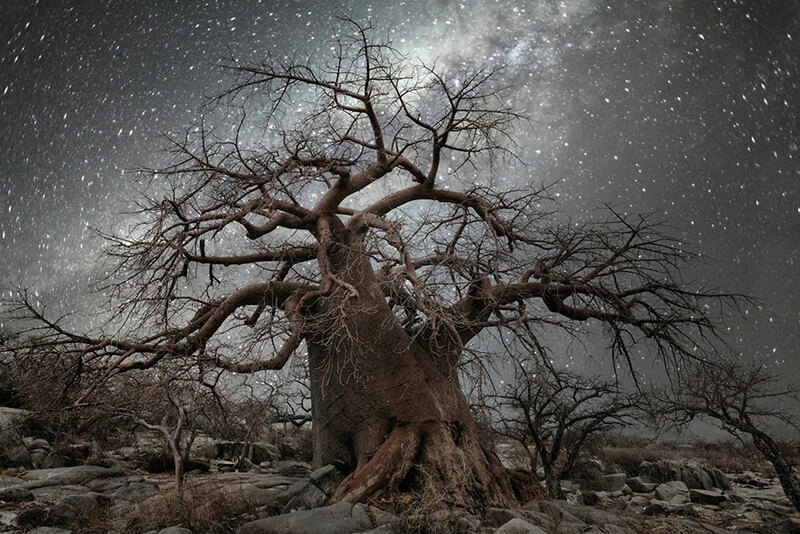 There is a peace surrounding these trees that adds a magical quality to the pictures, When creating this series Moon stayed with the trees for hours at a time to witness first hand the secret connection that the trees have with the sky above. 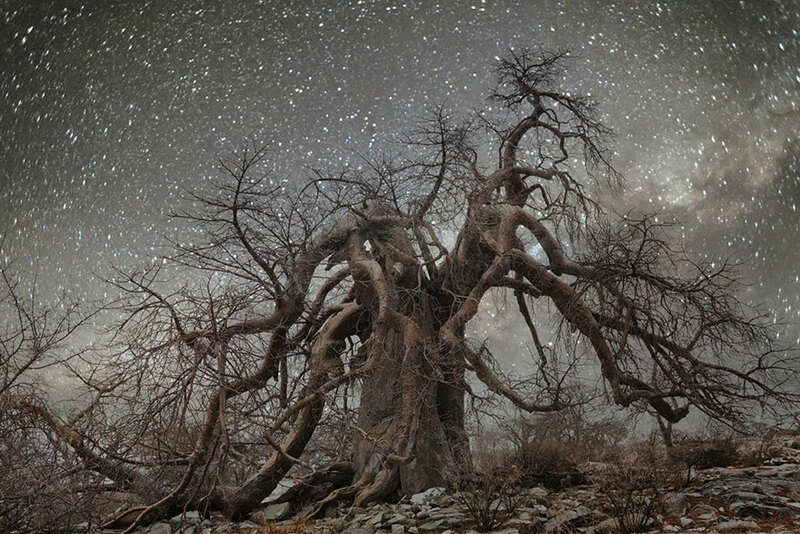 “Our relationship to the wild has always played an important role in my work,” Moon wrote on her website “This series was inspired by two fascinating, scientific studies that connect tree growth with celestial movement and astral cycles.” The first of these studies determined that cosmic radiation affects tree growth so much, it matters more than annual rainfall and temperature. 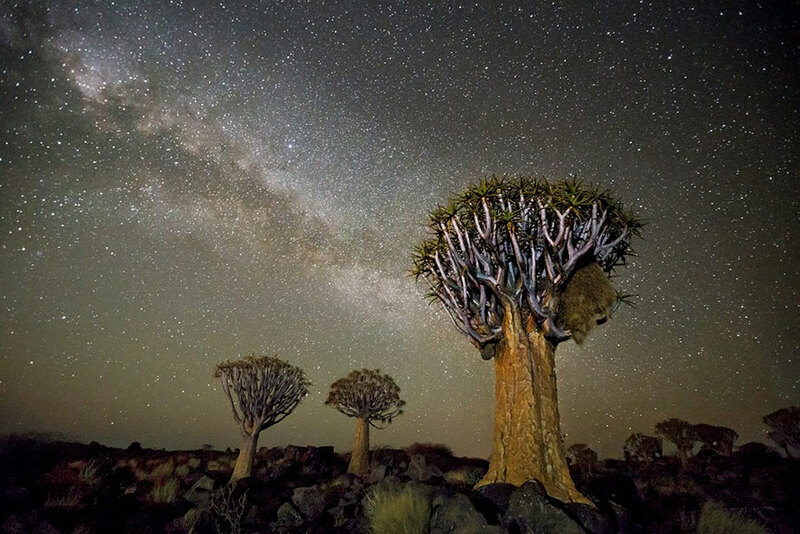 The other study found out that tree buds change winter growth cycles in accordance to certain celestial objects. 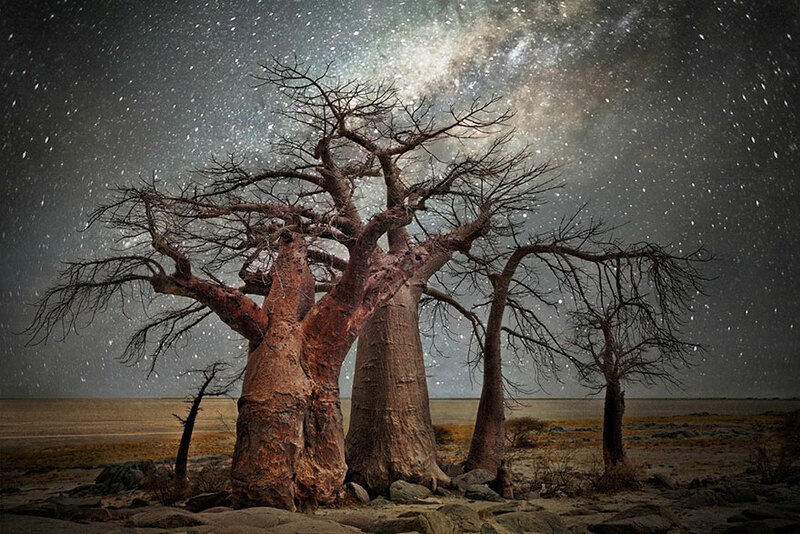 For Beth Moon, taking pictures of trees is nothing new. 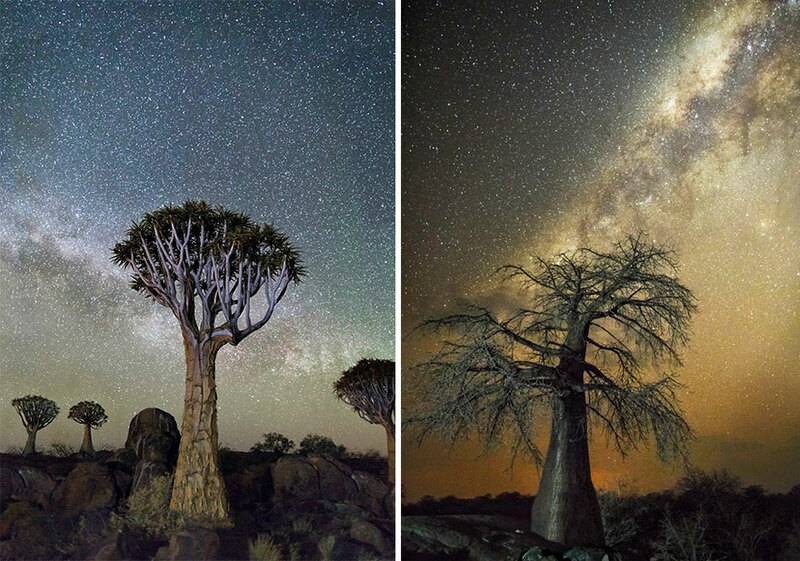 Previously, she had spent 14 years taking pictures of the oldest trees on Earth.